Winterhalter, P. and S. E. Ebeler. 2013. 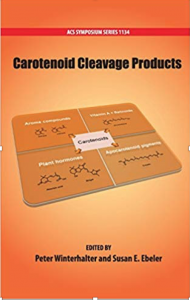 Carotenoid Cleavage Products. ACS Symposium Series 1134. 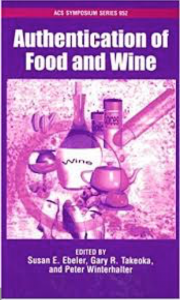 American Chemical Society, Washington, DC., 238 pp. DOI: 10.1021/bk-2013-1134. 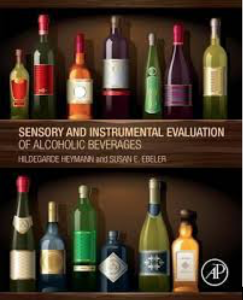 Ebeler, S. E.,Takeoka, G. R., Winterhalter, P. 2011. 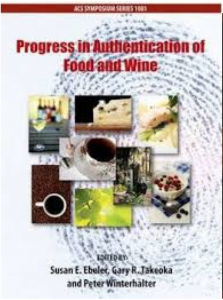 Progress in Authentication of Food and Wine. ACS Symposium Series 1081. American Chemical Society, Washington, DC., 377 pp. DOI: 10.1021/bk-2011-1081. Tamura, H., S. E. Ebeler, K. Kubota and G. R. Takeoka. 2008. 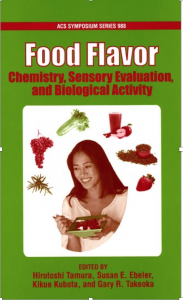 Food Flavor: Chemistry, Sensory Evaluation, and Biological Activity. ACS Symposium Series, No. 988. American Chemical Society, Washington DC. DOI: 10.1021/bk-2008-0988. Waterhouse, A. L. and S. E. Ebeler. 1998. 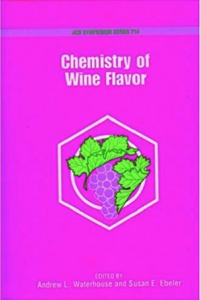 Chemistry of Wine Flavor. 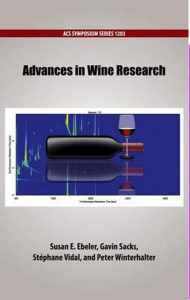 American Chemical Society, Washington, DC, 245 pp. DOI: 10.1021/bk-1998-0714.